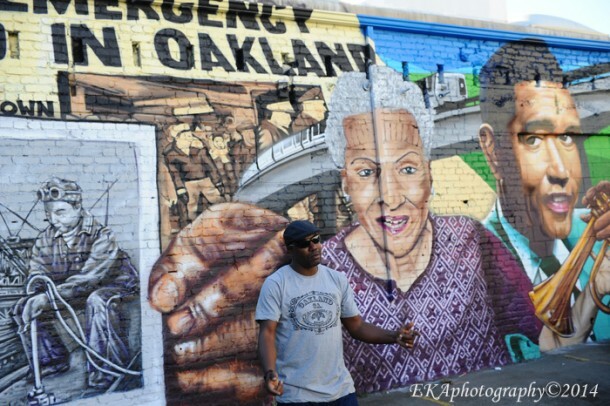 For the past four years, the Community Rejuvenation Project has been putting in work deep in the trenches of Oakland’s streets, painting murals with images and messages of upliftment, inspiration, struggle, and resistance. Recently, it’s come to our attention that several of our murals have been used as backdrops for videos by conscious rappers with a revolutionary mindset. While CRP doesn’t consider itself a political organization per se—first and foremost, we are a cultural art collective; the scope of our work also reflects themes such as community healing, revitalization, physical and emotional health, neighborhood history and anti-violence, as well as concepts like recycling/composting, food justice, environmental accountability, cultural diversity, indigenous awareness, and alternate transportation— we do stand in solidarity with conscious hip-hop artists, the Black Panther and Oscar Grant movements, and historical figures including Mother Wright, Paul Robeson, Malcolm X and Marcus Garvey, to name a few CRP has painted over the years. 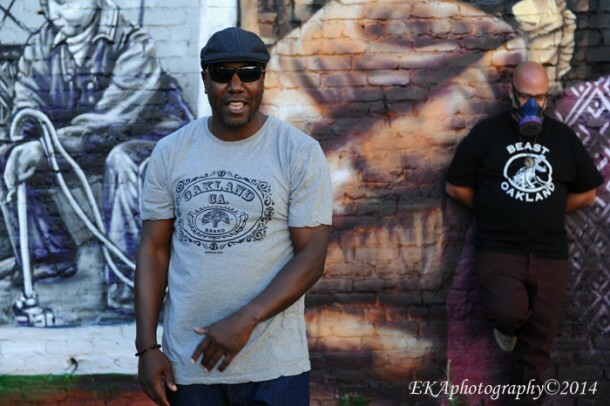 CRP is very excited to hear that Oakland-based educator and emcee Jahi has been chosen to lead the next generation of social and politically-aware hip-hop groups, PE 2.0, and even more stoked to find out that he planned to include our recent Alice St. mural in the video for his upcoming single, “What They Need” (dropping October 28). During the video shoot, CRP founder and ED Desi Mundo even made a cameo appearance! The “Decolonize” mural resonated strongly with Ceylon for deeply personal reasons, he says. “In 2002, I released a song called “Decolonize” which gave an overview of Sri Lankan (the island where my parents immigrated from) and my own personal history. Since then I have been pushing the “Decolonize” mantra tough all over and have been credited for helping to popularize the term here. 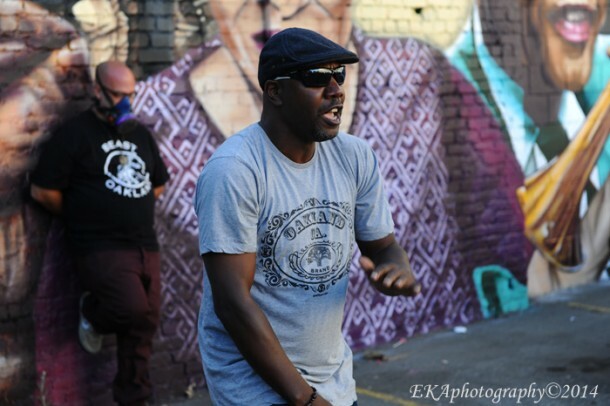 When Occupy Oakland began, I was one of the first artists asked to perform there and did a song called “Occupy Babylon: Decolonize pt.2” in which the hook says: “They occupying worldwide / we uprise and decolonize.” My position was in solidarity with my Ohlone comrades who rejected the term ‘Occupy’ in the context of Oakland and instead used ‘Decolonize’ to describe the revolutionary change we need to see out here. For more information on Jahi and PE 2.0, click here. For more information on Ras Ceylon, click here.